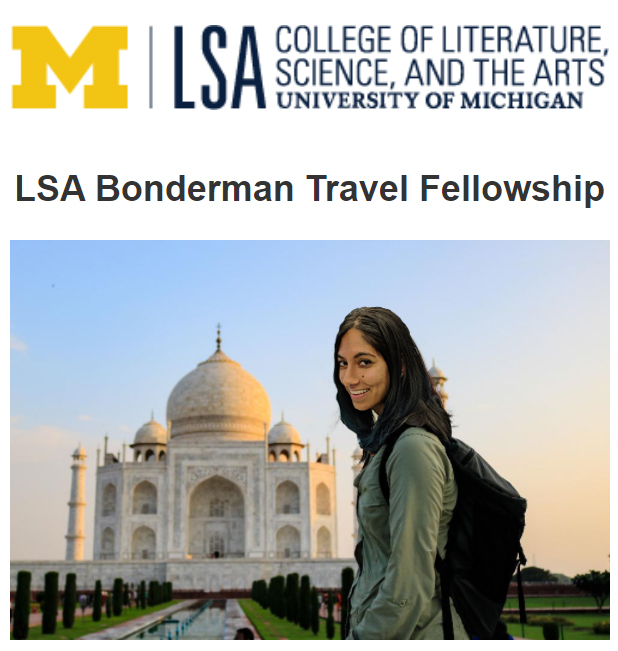 Senior undergraduate Shruti Arora was awarded one of four Bonderman Fellowships for 2018! UM is 1 of only 2 schools—along with the University of Washington—to offer the Bonderman award. Fellows make their own travel itineraries and, because this is meant to be an individual experience, cannot engage in formal study at a foreign university, conduct formal research, or travel with a guest or organized group for longer than 10 days. Shruti will be traveling to Japan, Thailand, Myanmar, India, Nepal, Greece, Croatia, Ukraine, South Africa, Zambia, and Morocco! We will be posting her travel blog and you can follow her trip here. Andrew and Paul publish new paper in JCI with Dr. Jack Parent (JCI Cover Im... Andrew is awarded a Rackham Predoctoral Fellowship! !